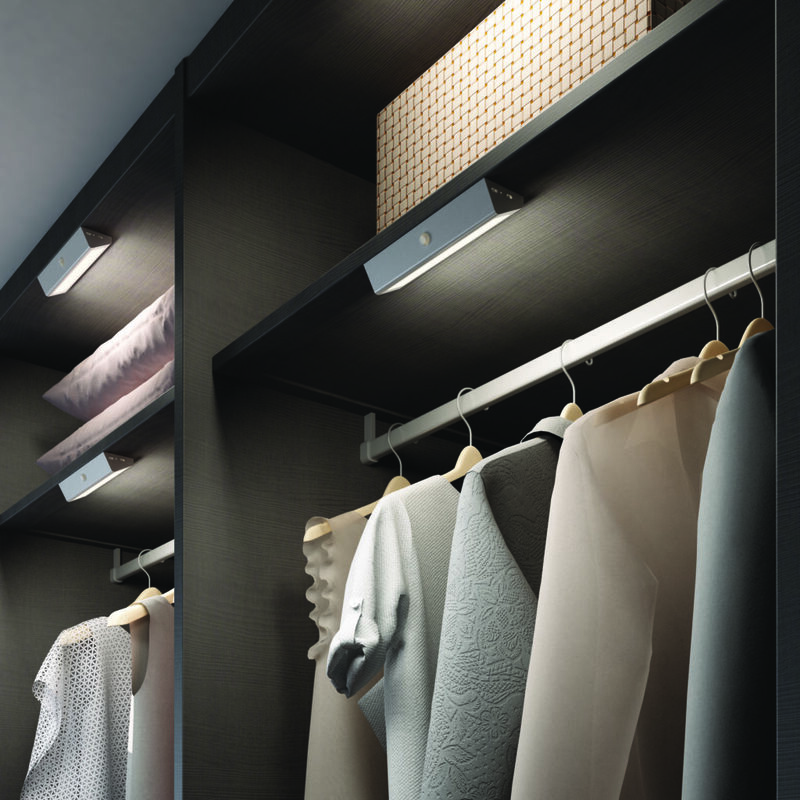 Wardrobe lighting is a hidden gem that transforms daily routines. So often people will struggle to see what they have in their storage spaces, never really knowing just how quickly they could improve the situation with a simple retrofit LED option. Here at TLW we have every solution you could need to ensure that you never waste time, energy or money again and to allow you to brighten up every inch of your internal storage. 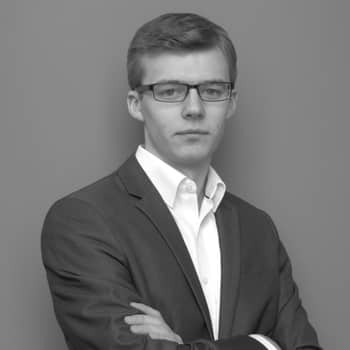 Daniel Hughes, Business Development Manager at TLW, has the experience and expertise to understand the best ways of lighting wardrobe storage. 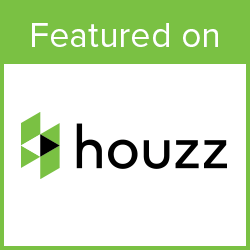 Here is a Q&A with Daniel, generating some inspiring ideas to help you design your own scheme. Why is wardrobe lighting important? “Whether you’re looking to illuminate a budget, ready-made wardrobe or a bespoke, made-to-measure fitted wardrobe, internal lighting enhances this space and ensures that there are no dimly lit areas. How do you think the installation of wardrobe lighting improves our daily routines? “There are several ways in which installing effective wardrobe lighting transforms the way you use your internal storage and as a result improves your daily routine. The first is that adding internal lighting provides bright and useful light that does not require the operation of the main lights in a room, for example first thing in the morning. The second is that, adding convenient lighting into internal spaces ensures that you can see everything that is inside that space. We often forget about objects such as clothing if we do not see it on a regular basis. What wardrobe VEW lighting options are available from TLW? The VEW lighting products that are available for internal storage depends on the access to power within the space. 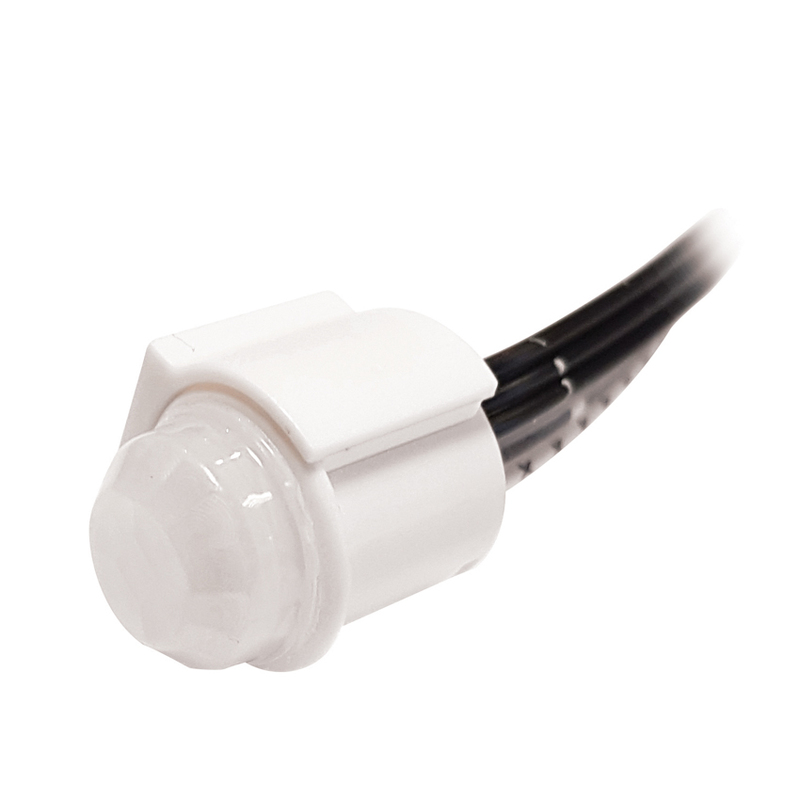 If mains power is available then any one of our cabinet or LED tape and profile solutions can be utilised. Of particular note is our illuminated hanging rail: Ray. This is available to purchase from us as a bespoke item ready to install at any length up to 2.5m. 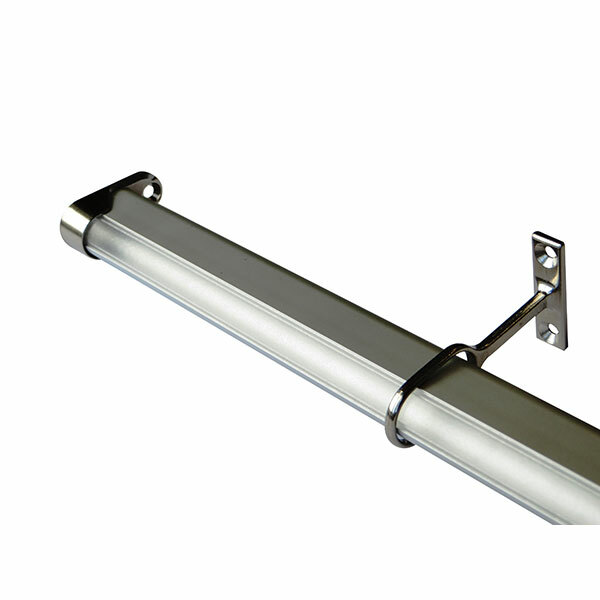 Click here to see the Ray illuminated hanging rail. Click to see our range of LED tapes and Aluminium Profiles. Click here to check out the Luna wardrobe light. If there is no access to mains power in the internal storage space this is not a problem. VEW lighting have a number of lithium battery operated lighting solutions that can easily be retrofitted into a wardrobe. 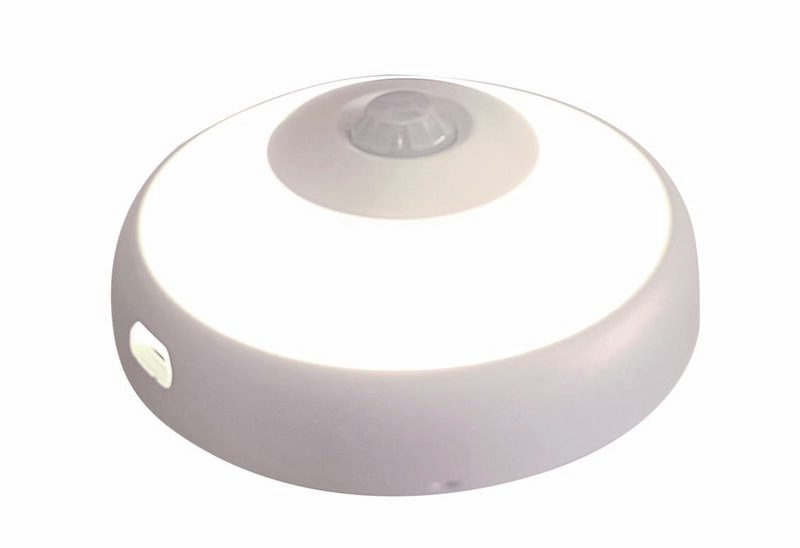 Click here to view the Globe battery light. How does lighting control work with wardrobe lighting? “All lithium battery operated solutions come with a built-in PIR sensor which activates the light as soon as motion is detected, whether that is via the opening of the wardrobe door or the movement of a person. When no movement has been detected after a given time period the light will automatically switch off. This ensures maximum performance and capacity from the light’s battery. When the battery runs out of charge, the light can simply be removed from the wardrobe and charged up via a micro USB cable that is provided with every fitting. If you opt for a mains powered light fitting then we suggest you use one of our wide range of lighting sensor switches to control your internal lights. The two most common sensors for use in wardrobes are the single door and double door IR sensors which provide power to the light when the doors are opened and switches the light off automatically when they are closed. This ensures that no power is wasted and energy bills are kept down. 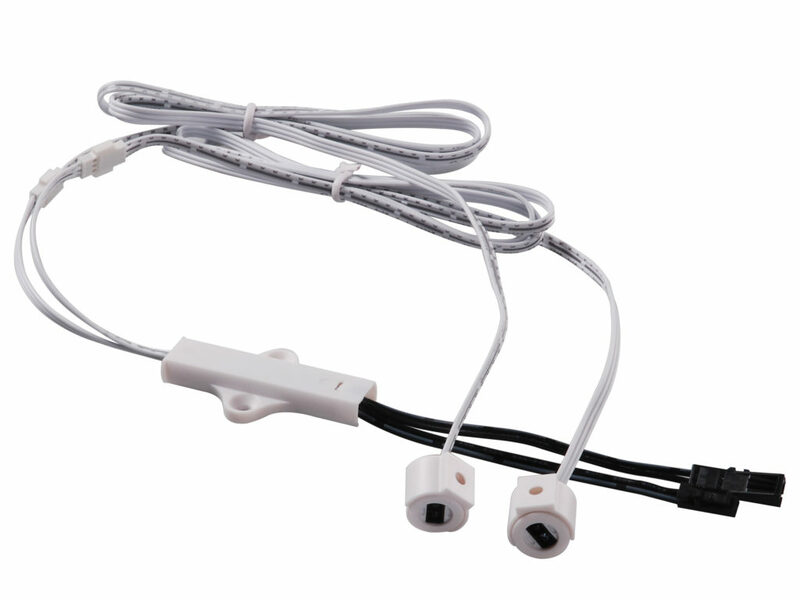 Click here to see the single door and double door IR sensors. For more information please call 01302 741 941 or email us.